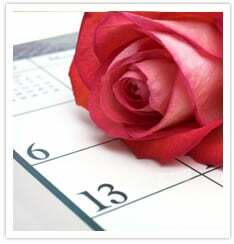 Aside for the auspiciousness of a given date, other considerations also play a role in setting a wedding date. See Wedding Preparations for more information on this topic. The following list is for weddings taking place outside of Israel. In the Holy Land, many Jewish holidays end a day earlier, which could affect some of the information below. Use our Jewish / Civil Date Converter to convert any secular calendar date to its corresponding Jewish-calendar date. Tuesdays: In recounting the story of Creation, the third day, Tuesday, is the only day when the Torah says twice, "And G‑d saw that it was good." The Sages interpreted this to mean that this day is doubly good — "Good for Heaven, and good for the creations." Rosh Chodesh: The beginning of a Jewish month is an auspicious date for a couple to begin their married life together. First fifteen days of the Jewish (lunar) month: The moon is a metaphor for the Jewish nation, and the days of the month when the moon is waxing are auspicious days for a Jewish couple to be married. Tishrei 11: According to Chassidic tradition, the day after Yom Kippur is referred to as "G‑d's Name." Tishrei 11-13: According to Kabbala, the four days between Yom Kippur and Sukkot are especially holy days; they correspond to the four letters of the Tetragrammaton. Kislev: The entire month of Kislev is extremely auspicious, as evidenced by the holiday of Chanukah which falls during the last days of this month. Tu B'Shevat (Shevat 15): "For a man is [akin to] the tree of the field" (Deuteronomy 20:19). The New Year for Trees is certainly an auspicious date to start a "New Year of Marriage." Adar: Adar is the month which "was transformed for [the Jews] from mourning to joy" (Esther 9:22). It is considered the Jews' "lucky month." Purim Kattan ("Small Purim") and Shushan Purim Kattan ("Small Shushan Purim") (Adar I 14-15): These semi-festive dates in the first month of Adar (in a leap year) correspond to the dates on which Purim and Shushan Purim are celebrated in the following month of Adar. Shushan Purim (Adar 15): An auspicious and semi-festive day. Tu B'Av (Av 15): This semi-festive holiday has always been associated with Jewish marriage. Elul: According to Kabbala, G‑d's traits of mercy and benevolence are revealed and accessible during the entire month of Elul. This month is certainly an auspicious time to schedule weddings. Fridays: In consideration of Shabbat which starts at nightfall, weddings are not held on Fridays. In times past, Jewish weddings were regularly held on Fridays. The chupah ceremony was held before sunset, and the wedding reception, which started after nightfall, was a grand Shabbat meal for all in attendance. Today, Friday night weddings pose too many problems to be feasible. No music, pictures or videography would be allowed; all the invited guests would have to walk home, etc. Shabbat: Wedding ceremonies are not allowed on Shabbat, a biblically mandated day of rest. Technically, weddings can be held on Saturday night after the Shabbat concludes at nightfall, but no preparations for the wedding whatsoever may begin until nightfall. This makes Saturday night weddings extremely impractical during the winter, and virtually impossible during the long days of the summer months. Ten Days of Repentance (Tishrei 4-8): Due to the solemn nature of the Ten Days of Repentance, it is customary to refrain from scheduling weddings during these days. Adar 13: The Fast of Esther. Nightfall ushers in the holiday of Purim and the obligation to hear the megillah — making it quite impractical to schedule a wedding for today. The days preceding biblical Jewish holidays: Tishrei 9 (day before Yom Kippur); Tishrei 14 (day before Sukkot); Nissan 14 (day before Passover); Sivan 5 (Shavuot); Elul 29 (Rosh Hashanah). Major holidays, biblically mandated days of rest: Rosh Hashanah (Tishrei 1-2); Yom Kippur (Tishrei 10); Sukkot (Tishrei 15-16); Shmini Atzeret-Simchat Torah (Tishrei 22-23); Passover (Nissan 15-16; 21-22); Shavuot (Sivan 6-7). Chol Hamoed (The joy of these semi-festive days requires a complete immersion in the spirit of the holiday. Dividing our attention between the joy of the holiday and the joy of a wedding celebration isn't fair to either one of them): Tishrei 17-21 (Sukkot); Nissan 17-20 (Passover). Iyar 2-16: See below, "Omer Period." Fast of the Seventeenth of Tammuz (Tammuz 17): Today commences the "Three Weeks," A Jewish national mourning period. Weddings are not scheduled for today. Nine Days (Av 1-94): With the onset of the month of Av, we enter the Nine Days, the most intense days of the already mournful Three Weeks. Omer Period (Nissan 23-Sivan 2): The "counting of the Omer" period between the holidays of Passover and Shavuot is a time of semi-mourning. Weddings are prohibited during at least 33 days out of this seven week period; however, which of these days are included in this prohibition depends on communal custom. 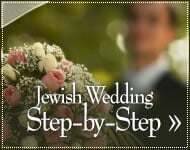 Speak with your rabbi to determine for when your family/community custom allows you to schedule a wedding. According to all customs, weddings are not scheduled for Iyar 2-16. Three Weeks (Tammuz 18-29): The three weeks between the Fast of the Seventeenth of Tammuz and Tisha B'Av are a Jewish national period of mourning. Ashkenazi Jews refrain from scheduling any weddings throughout this period. 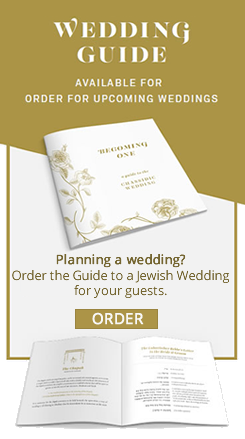 Sephardic Jews do schedule weddings until the onset of the month of Av. Fast of Gedaliah (Tishrei 35): A wedding scheduled for today must begin after nightfall. The Tenth of Tevet: A wedding scheduled for today must begin after nightfall. Fast of Esther (Adar6 137): A wedding scheduled for today must begin after dark. Nightfall, however, ushers in the holiday of Purim and the obligation to hear the megillah — making it quite impractical to schedule a wedding for today. Shabbat: If a wedding is scheduled for Saturday night, the bride and groom do not fast on the day of their wedding. Rosh Chodesh (There is debate amongst halachic authorities whether bride and groom fast if the wedding is scheduled for Rosh Chodesh Nissan). Tishrei 11: Having fasted and repented yesterday, Yom Kippur, everyone is presumably free from sin on this day. Thus, the bride and groom do not fast if the wedding is held today. Isru Chag (day following a biblical festival): Tishrei 24 (Sukkot-Simchat Torah); Nissan 23 (Passover); Sivan 8 (Shavuot). Chanukah: Kislev 25-Tevet 2 (or 3, depending on the year). Purim Kattan ("Small Purim") and Shushan Purim Kattan ("Small Shushan Purim") Adar I 14-15. Purim and Shushan Purim (Adar 14-15). The bride and groom should consult with their rabbi regarding their personal menorah lighting. During a leap year, Purim is observed in Adar II. See also Fast Days section below. The mourning laws associated with the Nine Days expire at midday of the 10th of Av. Any wedding scheduled for that day must begin after midday. Also, if Av 9 falls on Shabbat, then the fast of Tisha B'Av is observed on Sunday, Av 10 — and no weddings would be scheduled for this day at all. If Tishrei 3 falls on Shabbat, the Fast of Gedaliah is observed on Sunday, Tishrei 4. During a leap year, the Fast of Esther is observed in Adar II. If Adar 13 is on Shabbat, the fast is observed on Thursday, Adar 11. In such an instance, a wedding scheduled for that Thursday would have to begin after nightfall.